Our aim is to provide a validated software that can be used to teach radiography using real-time interactive X-ray simulation. Our interactive learning environment for diagnostic radiography enables educators to bridge the disconnects between theory and practice by using a virtual X-ray room within the classroom without using real patients and avoiding any kind of radiation risk. The tool can be used within a lecture to illustrate cases of interest, show specific errors, the effect of the X-ray machine parameters, etc., that would have been difficult (if not impossible) to encounter during the training due to the harmful nature of ionising radiations. We developed a fast and accurate character animation technique so that the user can import any kind of anatomic models, move the joints of the virtual patient into the required position, and deform the skin surface and the internal soft tissues accordingly. 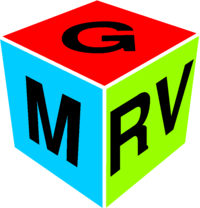 We also developed gVirtualXRay, an open source library to simulate X-rays, to generate the corresponding radiographs in realtime. Parameters of the X-ray machine, e.g.~beam collimation, beam spectrum, etc. can also be changed by the user and the effect of the changes are visualised without delay. A face and content validation study has been conducted. 18~participants were recruited to evaluate our software using a questionnaire.The results show that our tool is realistic in many ways (72% of the participants agreed that the simulations are visually realistic), useful (67%) and suitable (78%) for teaching X-ray radiography. Open source code release in preparation. The research leading to these results has been partially funding by the following entities: the Spanish Government [Cajal Blue Brain Project, Spanish partner of the Blue Brain Project initiative from EPFL; and grants TIN2017-83132-C2-1-R and FPU15/05747] and European Commission [under grant agreements: HBP - Human Brain Project - FET Flagship HBP604102; RaSimAS: Regional Anaesthesia Simulator and Assistant - FP7-ICT 610425, and Fly4PET: Fly Algorithm in PET Reconstruction for Radiotherapy Treatment Planning - FP7-PEOPLE-2012-CIG 321968]. 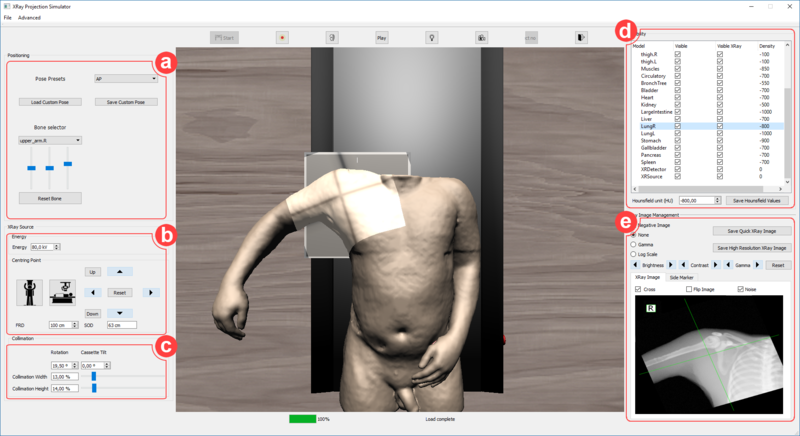 Some examples were based on the Visible Human male data set (National Library of Medicine) and the Segmented Inner Organs (Voxel-Man). We would like to thanks HPC Wales for the use of its supercomputer during the validation of gVirtualXRay and NVIDIA for donating the GPU that was used during the implementation of gVirtualXRay.